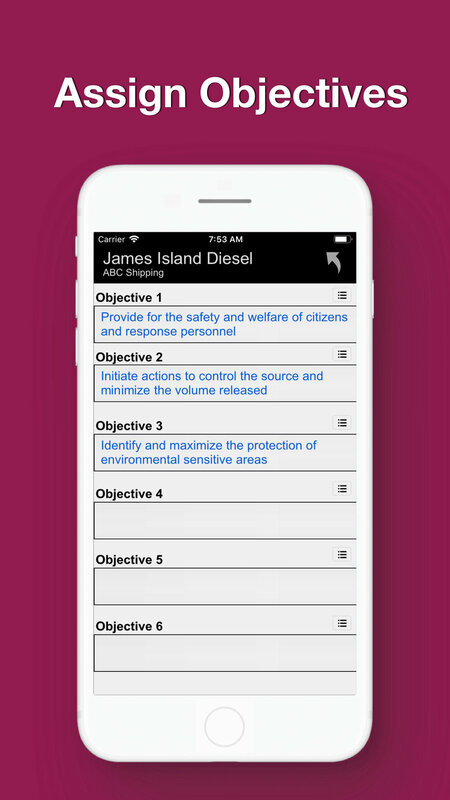 We created the ICS-201 application to make documenting incident actions, objectives, organization, and resources as easy as possible. Enter the names of the individuals assigned to each position along with phone and email contact information. Enter the actions taken in response to the incident, including the time, and note any significant events or specific problem areas. Enter short, clear, concise statements of the objectives for managing the initial response. 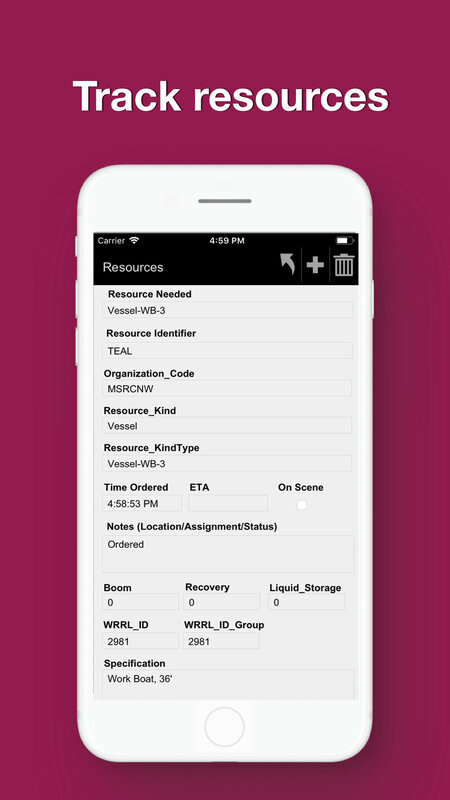 Record a description of the resource needed (e.g., open water boom, skimmer, vac truck, etc. ), the identifier for the resource (e.g., radio call-sign, vessel name, vendor name, license plate, etc. ), time-ordered, ETA, status, and assignment.